The buds of the Queen Anne’s Lace are just as lovely as the finished, wide open flower. From beginning to end, they both add color and texture to nature’s life. The rugged path of the Pioneer forging forward is just as lovely as the finished settler’s homestead. From beginning to end, they both add color and texture to the life of humanity. The sinner and prostitute, the woman at the well and the broken woman washing Jesus’ feet with her hair is just as lovely as the woman resting at Jesus’ feet learning from his every word. The criminal hanging beside Jesus asking to be remembered is just as lovely to the heart of Jesus as the first martyr stoned to death for living a life for Jesus. A 50 year old multi-divorced woman who was born into a mess, endured many messes, created some mess herself and continues to pioneer forward is just as lovely to the heart of Jesus as a nun who settles in Calcutta to bind the messy wounds of lepers. Whether you are the Pioneer tackling the wilderness of a new frontier or the Settler in a homestead of solid faith and a known life, you are just as lovely in the eyes of Jesus. The Father has gone before us. Jesus has gone before us. Pioneers have gone before us. Tomorrow I begin a new journey. The bud of this journey is just as lovely as the destination a year from now will be. Some of my path has been paved by those who have gone before me. Yet, I am my own person with my own story of weeds and messes. Therefore, some of my path will only be my own and will entail some wilderness to be tackled. I had to pause for a moment of smiles. I am a closet Star Trek: NG geek. Who we are now. Who we are on the journey to opening up and becoming. Who we are when we leave this earth and settle with Jesus. We are all just as lovely to the heart of Jesus. 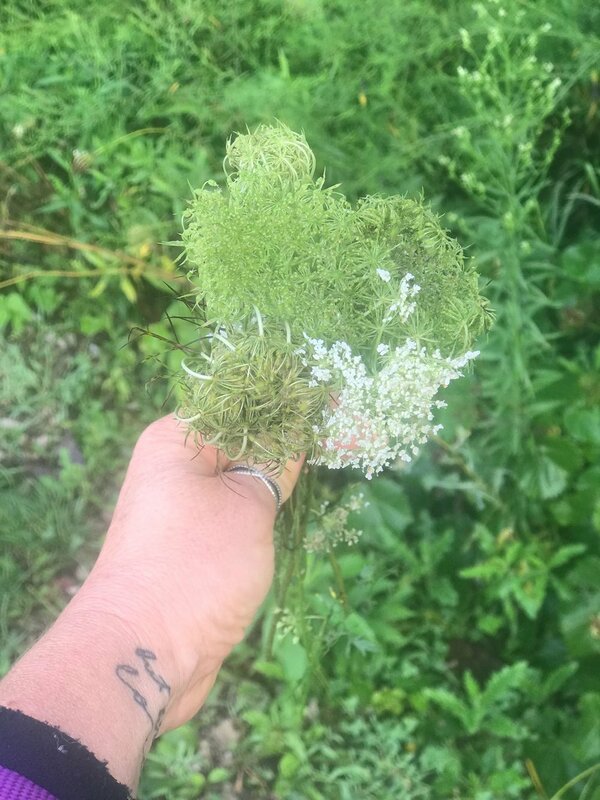 When the buds of Queen Anne's Lace are put together with their full bloom flower; then joined with the buds and flowers of other varieties, they are just as lovely. Lord, in your mercy, may all who have ears, hear that they are just as lovely. All God's buds and flowers say... Amen. Enjoy some inspiration with the song below. Pioneer by Honeytree.